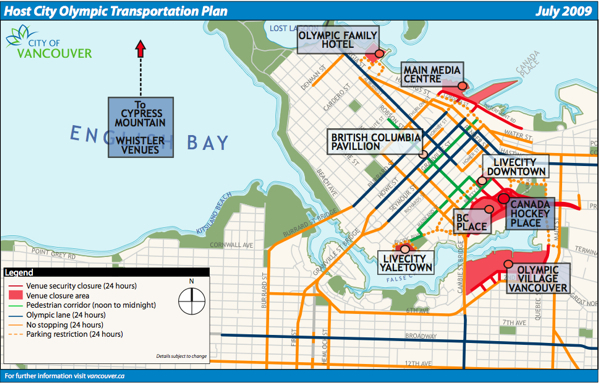 There is no secret to the Olympic Transportation Plan. The plan is the responsibility of the Department of Engineering and all the plans have been on the CoV’s website since March. In addition to plans being post on the internet there was public open house on March 30 at the Roundhouse. Tagged with: Olympic, Transportation, Vancouver.